Now that Lily's first day of first grade is approaching I'm looking for something cute for her to wear on her first day. I think B. Children's Wear's flower bud cardigan with a navy and white rickrack skirt would be just the order. Check out all of Lindsey's stylish embellished tops made from brand new American Apparel and Alternative Apparel garments. If you love the embellished look but don't have the skills....or time....to do it yourself, let Lindsey do it for you! 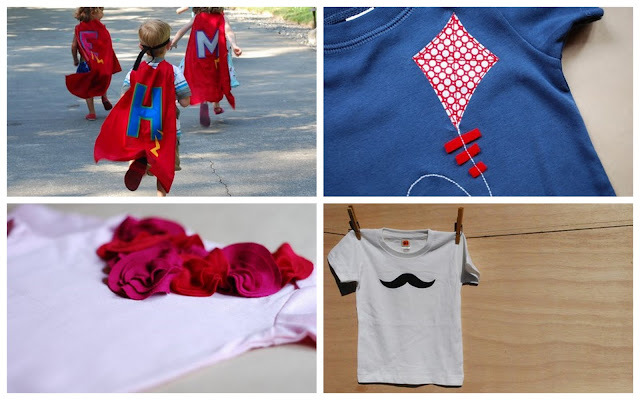 Her superhero capes are just what any child dreams of:) And she has PLENTY of options for girls AND boys. B. 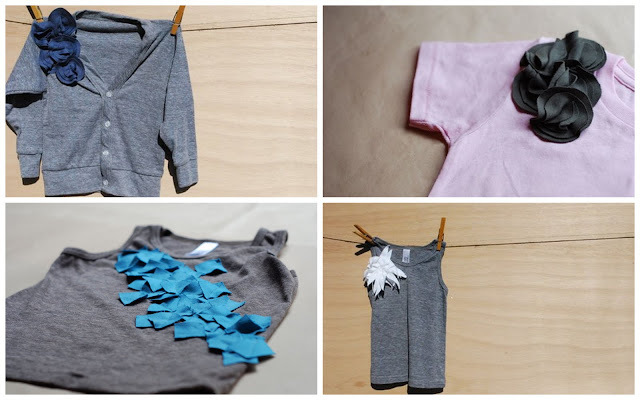 Children's Wear strives to make unique and fun items for your little one that reflect their unique personalities. They believe that each child is special and they try to make clothing that reflects that. Each item is handcrafted bringing a little extra love to each piece of clothing. Oh and stay tuned for a Thrift Store Thursday post later today! Just saw them on Etsy last week...such cute stuff! I'm captivated by that cardigan!